Over the years we’ve seen the competition come and go but there’s a factor in doing business with us that has helped us maintain our reputation as the wisest choice. We’ve been dedicated to providing professional computer sales, service, support and consulting since 1987 to the Home, Home Office, Small and Medium Business (SMB) end user longer than just about anyone in our area. 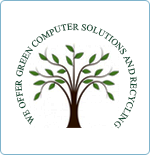 We can provide virtually everything you want and need for your computer or IT requirements. We offer a wide range of both consumer, commercial and industrial quality hardware and software including new, refurbished and used desktops, notebooks, tablets, servers, monitors, printers, data storage, accessories, ink, toner, cabling, parts, upgrades, memory, operating systems, office productivity software, business cards, business forms, checks, letterheads, signs, banners and more including support, service, repairs, networking and consulting. We can provide you with the latest technology available in computer hardware & software, all at fair prices. We’ve been saying it for years and it’s as true as ever now, doing business with us is “An idea that won’t byte your budget”. As new products change the way you use your system you’ll find them first at Al’s Hardware & Software House. We shop for the newest innovations, quality, price and reliability. Purchasing computer hardware or software from us gets you more than just products. Our products are plainly marked and come with the documentation and the support you need to get the most from your purchase. Personal service available when you need it has always been part of the package with us. Novice or expert, home or business, when you think computer products, service, support and consulting, when you think computers, think Al’s Hardware & Software House. We can help you make the right decision based on your needs, not on what we have to sell. We’re computer specialists, we know what you’re talking about and we know what we’re talking about. 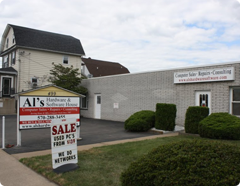 We are the area’s most comprehensive service center for most popular brands of computers and peripherals. We offer complete repair, upgrade and virus removal service for most brands of IBM compatible desktop, laptop/notebook PCs, printers and other hardware. We also service most Apple hardware. Most important, you always get the one on one service that just can’t be found at discount stores, mass merchants, clubs or mail order websites. We’re the real advantage. Anything not in stock is usually available from our suppliers overnight. You might get what you pay for in product elsewhere but at Al’s Hardware & Software House you get more. You’ll have the piece of mind that comes from knowing we’ll back our products with our reputation. 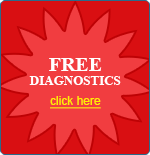 FREE DIAGNOSTICS with completed PC repair (In store repairs only). Al's Hardware & Software House services most brands of PCs & printers including Acer, Apple, Compaq, Dell, DFI/ITOX, Epson, E-Machines, Gateway, HP, IBM and IBM compatibles, Lenovo, Lexmark, Okidata, Samsung, Sony, Toshiba, Wyse and more.